BYOB—Bring your own beads to start a project, finish a project, or just sit in circle and share stories! 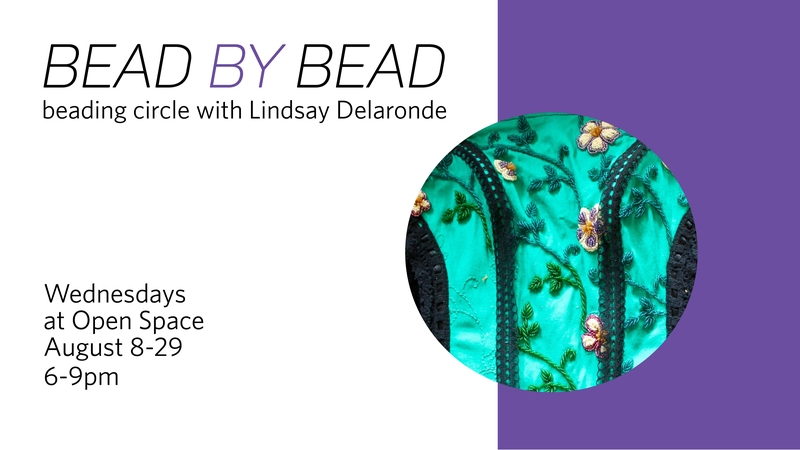 Bead by Bead is a 4-session circle hosted at Open Space by Aboriginal Curator Lindsay Delaronde. We will come together to share techniques, ideas, and good laughs. Beading is our way to tell stories, to come back into grounding and focus. As an activity, it is therapeutic and healing and has strong ties to our cultural ways of knowing and understanding who we are as Indigenous peoples. All welcome! Come to one or all of the sessions. Some materials and snacks will be provided.